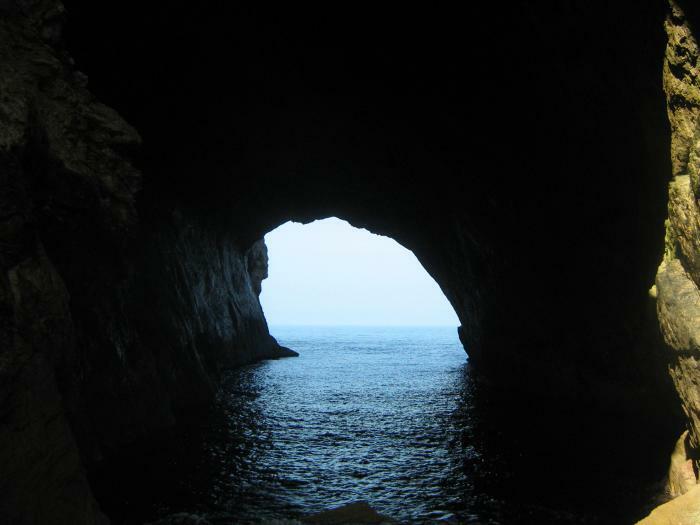 The island of Foradada, meaning ‘pierced’, is crossed from one side to the other by a natural tunnel, 100 metres long and entirely above sea level, giving the island its name. 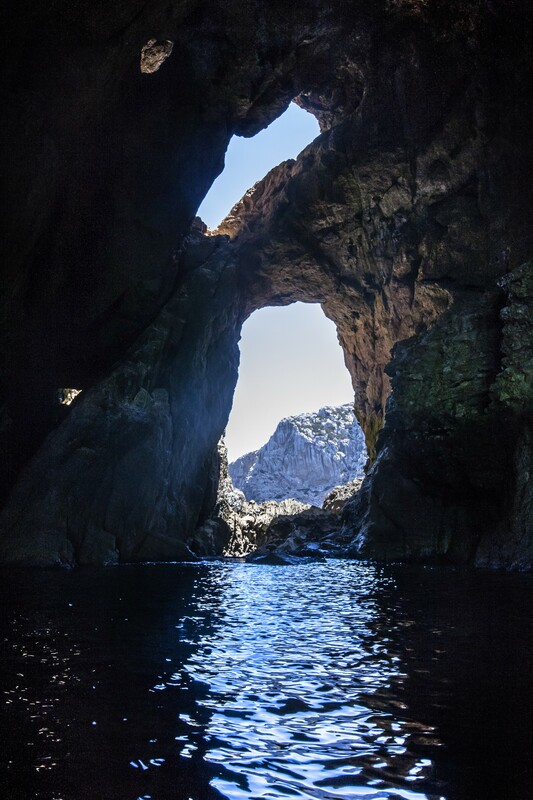 The waves often crash onto the entrance to the cave, which is part of the marine area of Capo Caccia - Isola Piana, and it is the habitat of pigeons, gulls and great cormorants, which is why it is known as Grotta dei Palombi (Cave of the Pigeons). 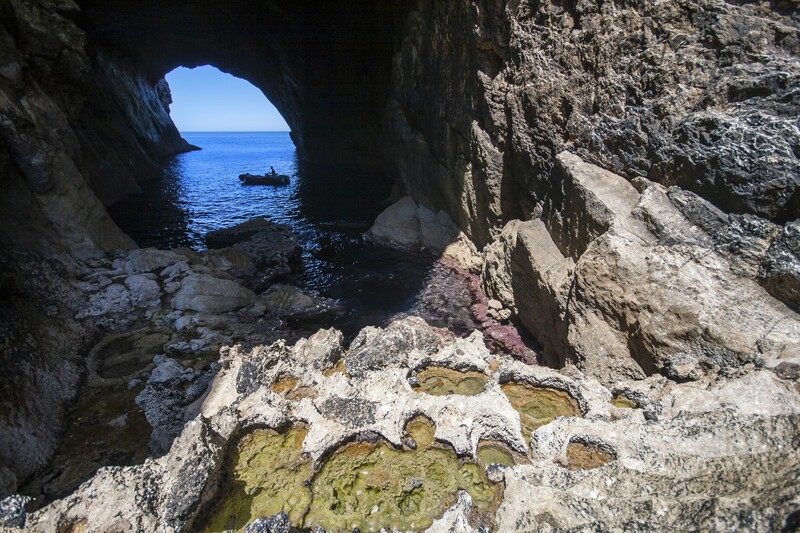 It can only be visited via sea and you can do this in small and mediums sized boats, departing from the port of Alghero, operating boat trips that will also to you to Neptune's Grotto. You can enter from the west and follow a charming and captivating itinerary, made of impervious passages and sightings of rare species: yellow-legged gulls, shearwaters, ravens and above all the griffon vulture, which nests between the rocks at Punta Cristallo and, in the territory of Bosa, at Capo Marargiu. You can admire the western entrance from a panoramic viewpoint, which you can reach from the road leading from Cala Dragunara to the high cliffs of Capo Caccia: in front of them, there is the impressive whitish limestone rock named Foradada, a fragment of the coast that separated from the main island in ancient times and also has little underwater caves, the most spectacular of which you will notice on the northern side. An extremely rare endemic plant grows on its rocks: brassica insularis. The island, as well as the coast of Alghero that extends from Punta delle Gessiere to Capo Galera, is part of the protected area, which is safeguarded due to the unusual features of its landscapes and nature. 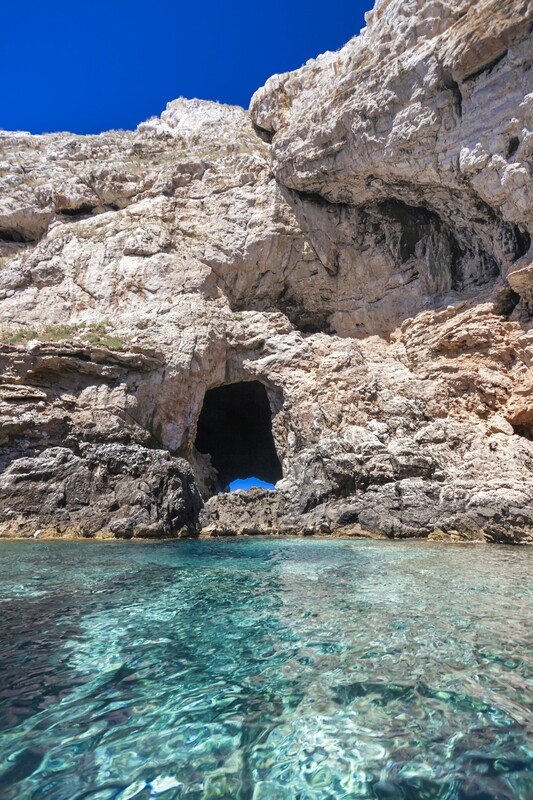 It is a paradise for diving enthusiasts: there are at least ten underwater caves that can be visited, particularly at Punta dell'Asino, among which the splendid Grotta di Nereo, the largest underwater cave in Europe. On the seabed, marine life, once full of grouper fish, scyllarus arctus and lobsters, is still thriving with schools of barracuda and common dentex, which circle around the shallow waters and the gigantic adjacent rocks.